Our Fifty for 50 Campaign is a great way for small businesses to support food justice. Your gift of $50/month provides farm-fresh produce for four people. Thank you! Send us a note with your Business Website Address and any other important info! 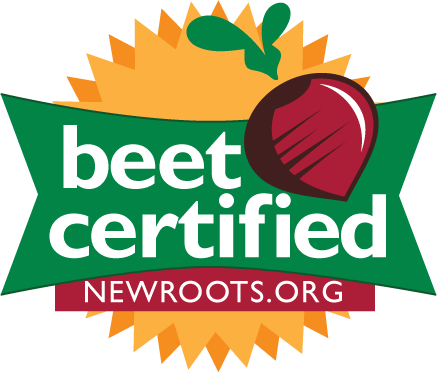 Becoming a "Beet Certified" business means your customers know that you care about the health of our community. You are empowering food insecure families and supporting local family farms. Make your donation today and join our growing list of Beet Certified businesses below!